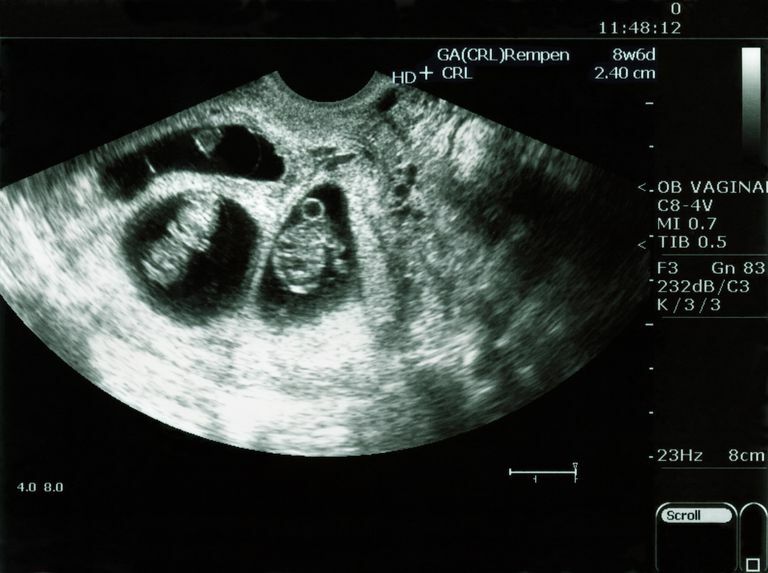 During a twin pregnancy, terminology is used to classify and describe how the fetuses are situated in the uterus. With one baby (sometimes called a singleton), there is a single baby, enclosed in a single amniotic sac framed by a single chorion and supported by one placenta. But with twins, there can be a variety of combinations. There may be one or two placentas, one or two amniotic sacs, and one or two chorions. Terms like dichorionic or monochorionic are used to identify and describe the twins and refer specifically to the number of chorions, either two (one per baby) or one that is shared by both babies. The chorion is the outer membrane of the fluid-filled amniotic sac surrounding a fetus in utero. Twins that develop in separate sacs surrounded by two separate chorions are considered dichorionic. The prefix "di" indicates two. All dizygotic, or fraternal, twins are dichorionic. Some monozygotic (identical) twins may also be dichorionic. Dichorionic twins have two individual placentas, although sometimes the placentas can fuse together. Twins that are dichorionic are by definition also diamniotic, since each amniotic sac has its own outer membrane. Sometimes dichorionic twins are described as dichorionic-diamniotic, or "Di-Di" twins. Are Dichorionic Twins Identical or Fraternal? Dichorionic twins can be either fraternal or identical. The scientific terms to describe twin type or zygosity, are monozygotic (identical) or dizygotic (fraternal). Dizygotic twins, which form from two separate zygotes, will always develop separately, with two individual placentas, sacs, and chorions. All fraternal twins are dichorionic. Monozygotic twins, which form when a single zygote splits into two, can also be dichorionic, depending on the timetable of the split. If it is early, within a few days after fertilization, two separate blastocysts will implant independently, resulting in dichorionic-diamniotic (di-di) twins. Only about thirty percent of monozygotic twins fall into this category. When twins are identified as dichorionic, it is not possible to determine their zygosity and say definitively whether they are identical or fraternal. Further testing, such as DNA analysis, would be required for determination. Many parents are mistakenly informed that their twins are fraternal because they were dichorionic, but that is simply not the case. During pregnancy, chronicity is assessed using ultrasound. A sonographer scans the placenta and fetal structures to identify a thick membrane around each fetus, indicating the chorion. Early in pregnancy, in the first trimester, it will appear clearly as two separate sacs with a thick membrane between them. Later, in the second trimester, it can become more challenging to determine chronicity, especially if the two placentas have fused together and appear to be one entity. If it is not possible to determine chronicity during pregnancy, an analysis of the placenta after delivery can provide the answer. Al Riyami, Nihal, Al-Rusheidi, Asamaa, Al-Khabori, Murtadha. “Perinatal Outcome of Monochorionic in Comparison to Dichorionic Twin Pregnancies.” Oman Medical Journal. May 28, 2013, pg. 173.